ONI Bureau: India registered a seven-wicket win against Australia in the third and final match of the three-match One Day International (ODI) series in Melbourne. 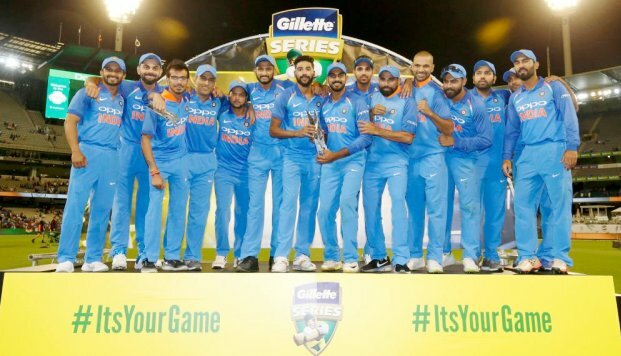 India clinched the ODI series 2-1 with MS Dhoni and Kedar Jadhav putting up a strong partnership to take the team to achieve the target in the 50 over. While MS Dhoni scored 87 runs (not out), Kedar Jadhav remained unbeaten at 61 (not out). This is the historic ODI series win for India, 1st bilateral ODI series win in Australia.